The summer of 2012 has been great for fans of zombie games. Call of Duty: Black Ops Zombies got an update in July, and Telltales’ The Walking Dead: The Gamedebuted to rave reviews. But as good as The Walking Dead game is, there’s lots of talking and not as much zombie killing as there could be. 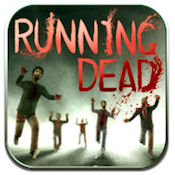 EnterRunning Dead, developed by Cleverson: think of it as Temple Run, but with zombies. Lots and lots of zombies that you need to kill if you want to keep running. You play as either Mike or Linda in Running Dead. 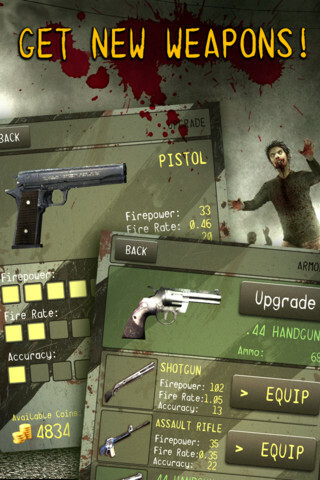 You’re the only survivor in your town, and you’ll need the best guns possible to survive. 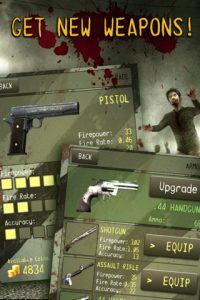 As you earn coins in the game, you can trade in your pistol for bigger and better firepower like assault rifles, shotguns and anti-personnel mines. 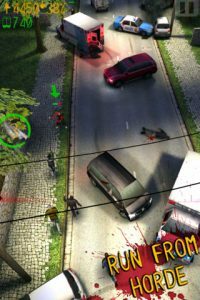 The non-stop killing action in Running Dead is a bit reminiscent of Zombie Highway, but with the players fighting on foot instead of driving in a car. You can control your direction using tilt controls, or by tapping left or right on the lower part of the screen. For my taste, using the accelerometer was the easiest, but your style may differ. To fire your weapon, tap or hold down one finger on the upper part of the screen. Special weapons and ammo can be collected along the way simply by running over them. The graphics in Running Dead are great, though the camera angle is quite high. 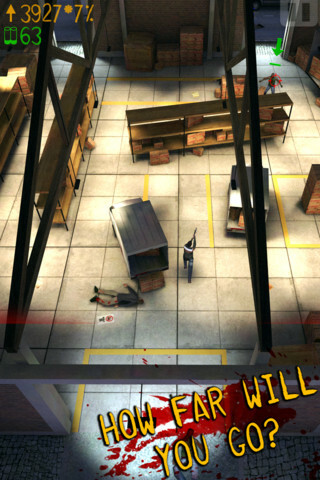 As a result, Running Dead doesn’t quite capture the immediacy of Temple Run. However, the great music and creepy zombie noises create a wonderfully atmospheric iPhone gaming environment. The path changes with each run, but expect to have to dodge overturned cars, zip through people’s homes, and sneak through darkened warehouses. 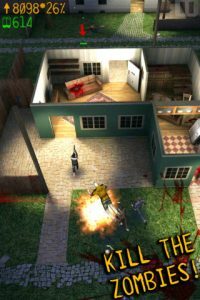 With a great spooky feel, constantly changing terrain, and plenty of weapons to collect, Running Dead is a must-play for any fans of zombies or iPhone running games. Running Deadis compatible with iPhone, iPod touch, and iPad. Requires iOS 4.3 or later. A small expedite fee was paid by the developer to speed up the publication of this iPhone game review.